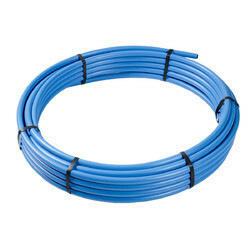 Offering you a complete choice of products which include mdpe pipe. We manufacture MDPE Pipe (Medium Density Polyethylene Pipes) as per Indian as well as International standards, which can also be customized as per the specifications of our clients. Complying with various standards. In adherence to the set industrial standards, offered pipes are precisely manufactured using better quality required material and advanced machinery at vendors’ end. Pipes, offered by us are very much cherished by our clients for their finish and elevated durability. Looking for MDPE Pipe ?